And, best of all, BANDITS, PROSTITUTES AND SILVER became WU TANG HO’S, THUGS & SCRILLAH. I kid you not. 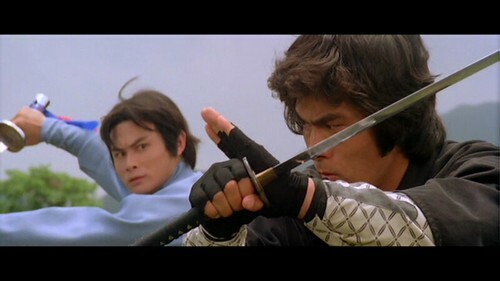 These films were made by the dozens in the 1970s and ’80s, with 1978-80 being a particularly productive period. 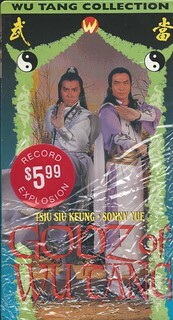 While Shaw Bros. and Golden Harvest made the more high-end films in this group, with stars like Gordon Liu, Fu Sheng, Jackie Chan and Sammo Hung, most of the tapes coming out at that time offered lower-budgeted films from much smaller companies operating in Hong Kong and Taiwan, and featured such stars as Wong Tao, John Liu, Tan Tao Liang, Cliff Lok, Hwang Jang Lee, Carter Wong, John Chang, Chang Yi, Angela Mao, Chia Ling (Judy Lee), Polly Shang Kwan, Doris Chen (Lung Chung Erh) and Hsia Kwan Li. 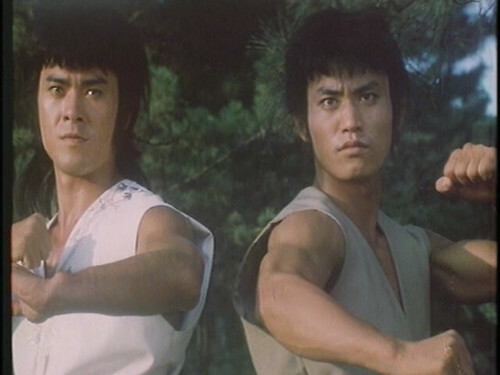 Maybe not household names in the U.S., compared to Bruce Lee, Jackie Chan and Jet Li, but all certainly revered by longtime kung fu fans. The tapes in question were mostly poor-quality pan-and-scan or full-frame transfers, dubbed in English and, worst of all, recorded at the slow speed, EP (Extended Play), like something you’d tape off TV when you were more interested in quantity than quality. There was a period there when the market was flooded with these things. Initially I was paying $10.99 per tape in some stores, which I’m still kicking myself for, but eventually the prices came down and they ran anywhere from $3.99 to $6.99 at most stores. I did whatever research on the web that I could to see what hidden gems existed under those ludicrous titles and made my choices, amassing dozens of these tapes during that period. 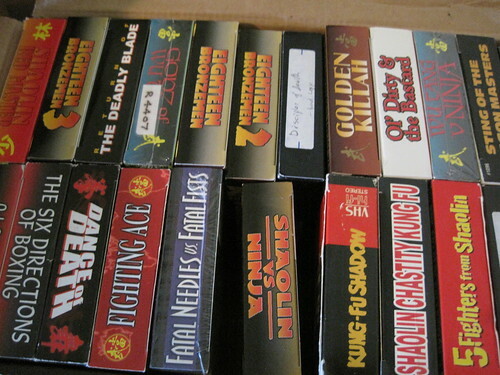 The other companies involved in releasing these tapes in the U.S. included entities named Arena, Eastern Heroes, Hong Kong Connection, Lion Video, Brooklyn Zoo, and Ground Zero. Some of them seemed to be owned by Xenon and I wouldn’t be surprised if it turns out they all were. 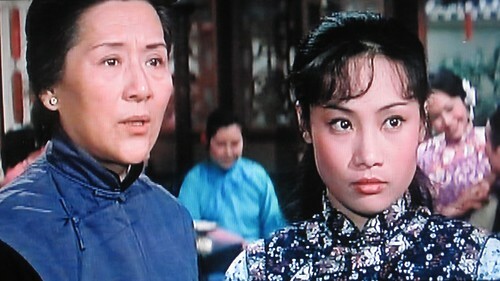 On occasion, I’d get lucky and find a film that was letterboxed and/or in Mandarin or Cantonese with English subtitles. And I’d be especially lucky if I found one taped at SP (Standard Play). 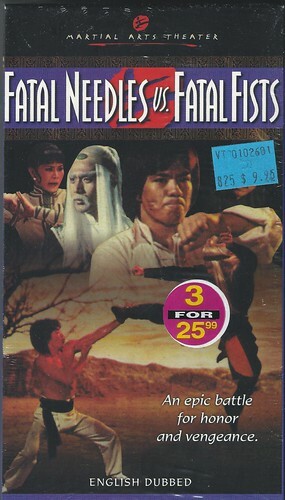 I hit a triple one day when I found HELL’Z WINDSTAFF (1979, aka DRAGON AND TIGER KIDS), which was letter-boxed, subtitled and SP! And the box even erroneously stated it was the English dubbed version. What luck! I made sure to put post-its on those tapes that had some special distinction like this. All this came back to me when I recently picked up one of those Mill Creek DVD box sets of 50 movies for $19.99. 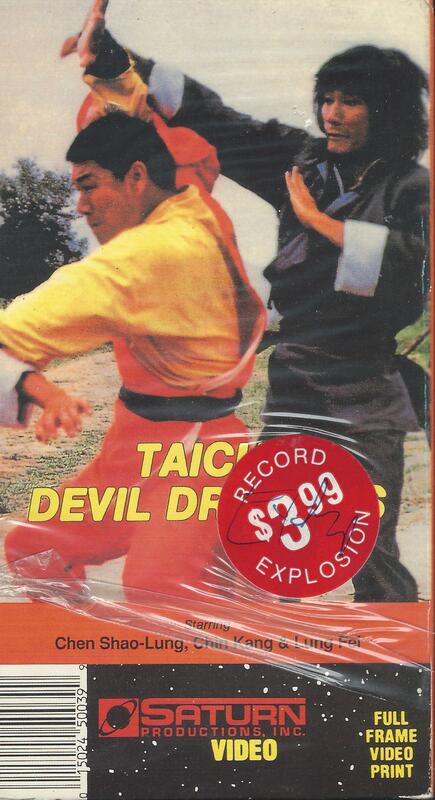 This one was called Iron Fist Frenzy and contained 50 kung fu movies on 13 discs. Amazingly there were 43 films which I’d never seen and only 12 out of the 50 were already in my collection. What a bargain, I figured, even if the print quality on most was bound to range from poor to awful. 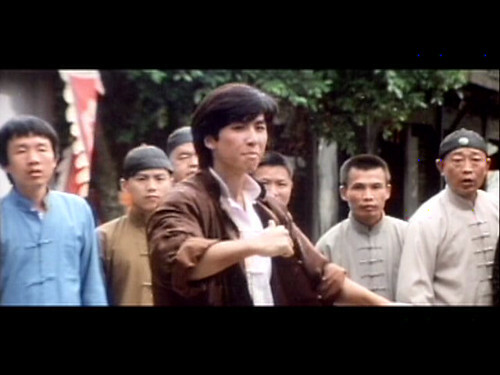 Well, as it turned out, it offered a clean, letter-boxed copy (albeit English-dubbed) of a Yuen Wo Ping movie I’d never seen before, DRUNKEN TAI CHI (1984), that happened to be Donnie Yen’s first starring movie. 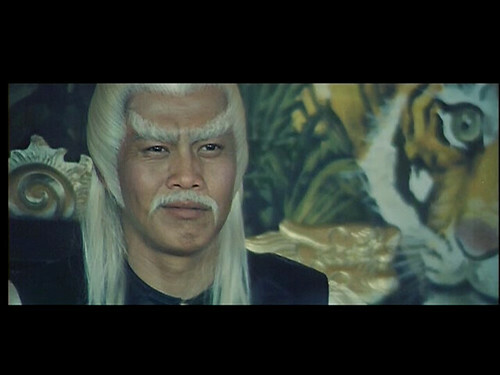 He’s quite good in it and one can easily see why he became a star in Hong Kong films. 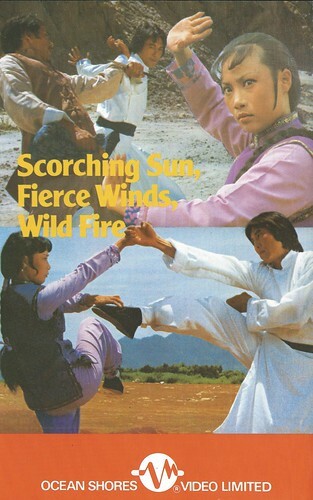 The set also offered a good print of KUNG FU GENIUS, an established classic of the genre starring Cliff Lok, that was letter-boxed and better-than-average. 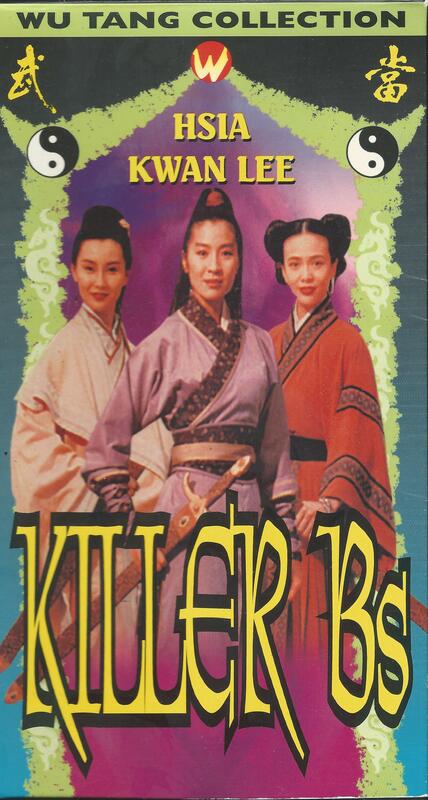 And the print of THE WOMAN AVENGER, starring Hsia Kwan Li, was definitely a step up from my EP VHS copy. 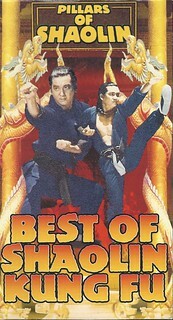 I wound up going through my bedroom closet and its boxes of kung fu VHS tapes and digging out my originals to compare with the copies on the Iron Fist set and, in the process, I found a number of tapes I still hadn’t viewed as well as quite a few I wanted to see again, so in between the high-class offerings of my three previous blog entries (WHEN MARNIE WAS THERE, PORTRAIT OF JENNIE, and Orson Welles), I crammed in over 20 kung fu films during the month of May. Back when I started amassing these tapes, few reviews of these films existed on the web, so I wound up doing reviews and posting them to Amazon and IMDB starting in 2001. 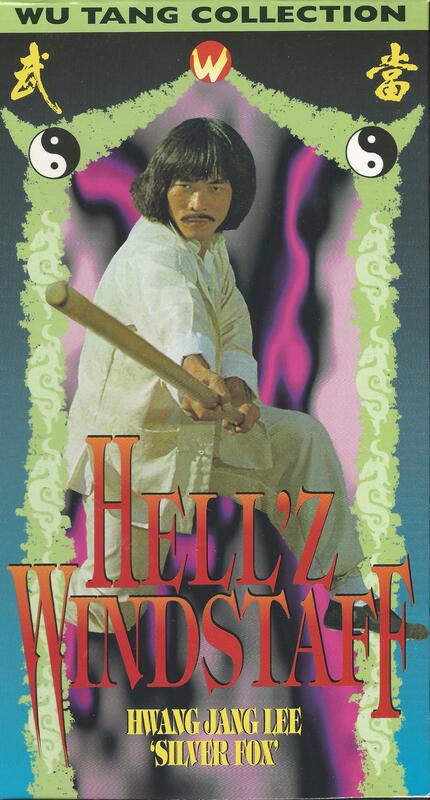 Here’s what I wrote about HELL’Z WINDSTAFF in one of my earliest reviews for Amazon. 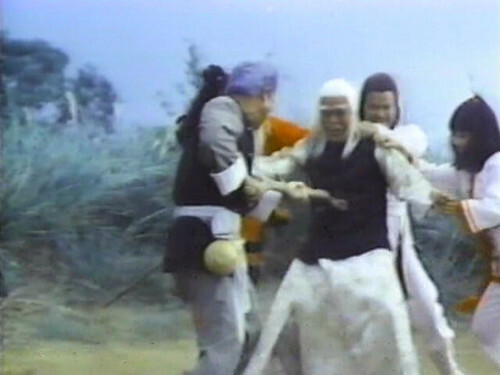 HELL’Z WINDSTAFF (1979) is an unsung kung fu classic that features four superb performers, three of whom are underrated, if not completely unknown, even among genre fans. 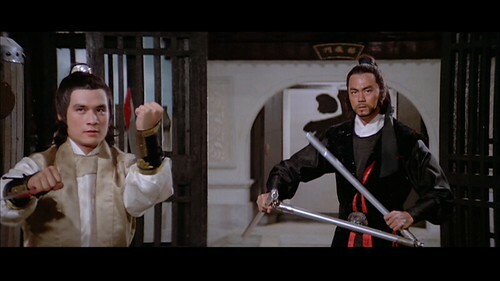 There is an almost nonstop succession of fights, all very well staged and photographed on location and worked into the framework of a clever variation on a standard kung fu theme. 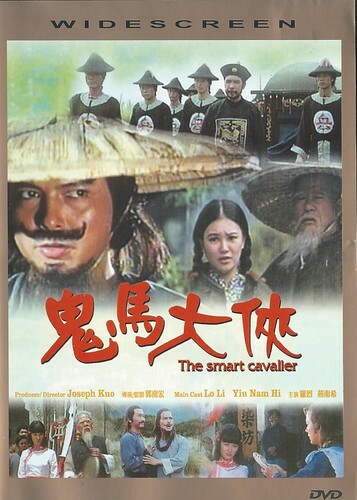 In this one, a criminal gang plots to lure the young men from a Chinese town with promises of work in Borneo where a slave ring awaits. 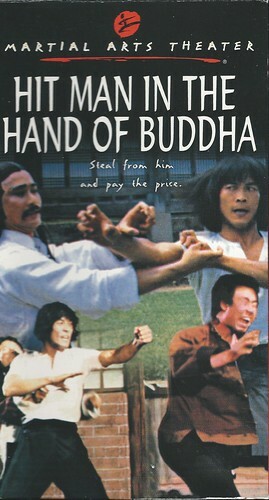 Two kung fu students and their teacher break up the gang’s activities, but when the teacher is killed in a fight with the gang leader, the students must go into hiding to learn special techniques known as Rowing Oar and Dragon Hands from a reclusive master. 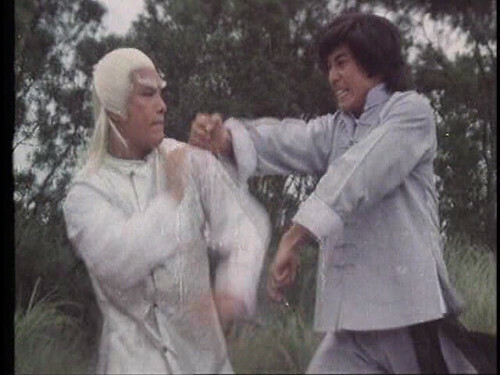 Only by using those techniques in tandem will they be able to defeat the Devil Stick technique of the man who killed their teacher. 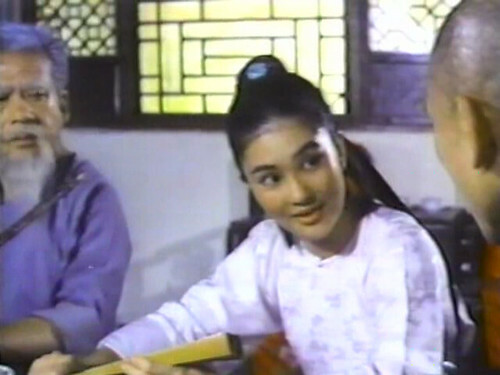 The young leads are Meng Hoi and Meng Yuan Man and their teacher is played by Jason Pai Piao. 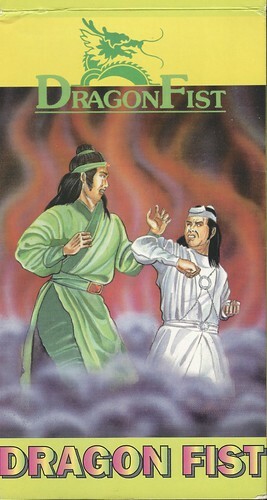 Their opponent is the venerable high-kicking Hwang Jang Lee who makes one of the most formidable kung fu villains I’ve ever seen. 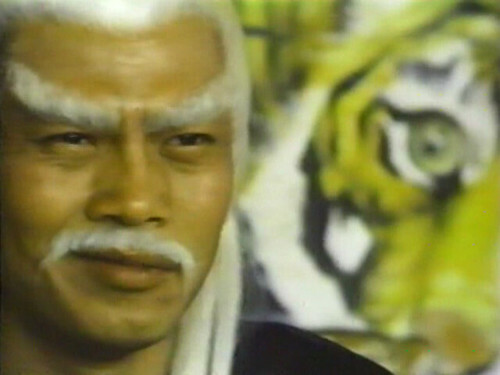 He is really tough to beat and both kung fu masters are killed trying. It takes the superhuman efforts of the two students to finally emerge victorious. 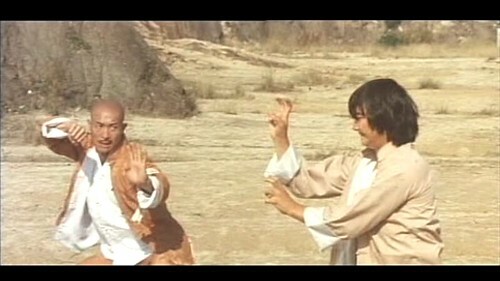 Genuine kung fu skills, including a high degree of stick fighting, are mixed with acrobatics, but without the usual trampoline stunts or wire work. It’s the real thing throughout and is captured on film in a straightforward manner, with no camera or editing tricks. 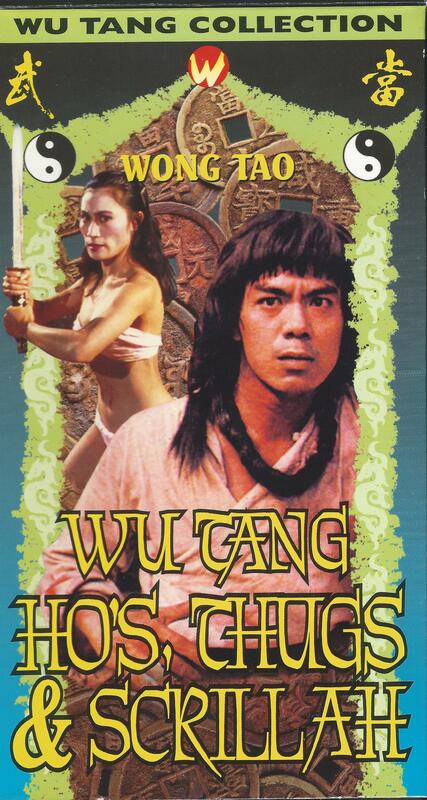 The Arena release, part of the Wu Tang Collection, is both letter-boxed and in Cantonese with English subtitles, neither of which are announced on the video box. 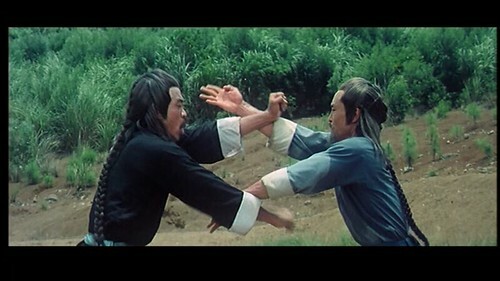 These desired features are rarities among old-school kung fu films released in the U.S. We can actually see all of the fighting in the frame and hear the actors’ voices in their original language. This was an amazing find. 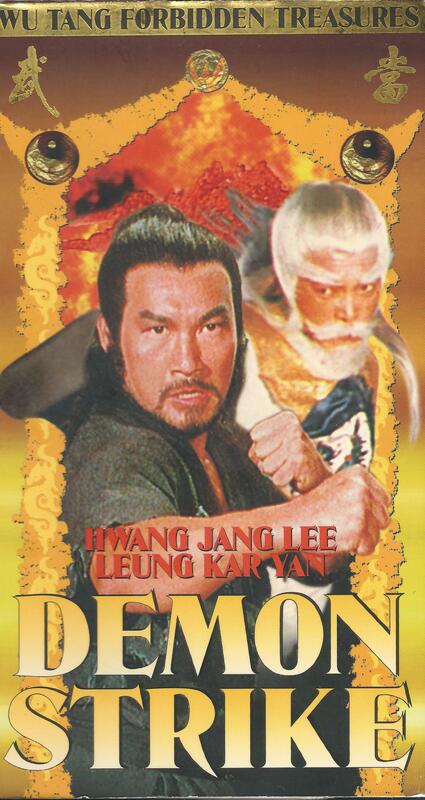 Also known as DRAGON AND TIGER KIDS. You will find links to my Amazon and IMDB reviews throughout this piece. 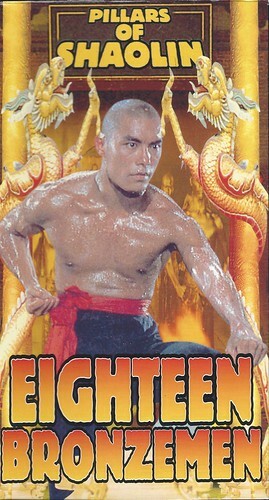 The gold standard for Kung Fu VHS tapes back then was Ocean Shores, a Hong Kong company that offered legit copies with good transfers of licensed prints at SP speed, although they were still full-frame and English-dubbed. But the print and transfer quality were a lot better than the Xenon releases. I got a lot of them from Kim’s Video on St. Mark’s Place. There were other companies that offered legit versions of these films, most notably World Video & Supply, Inc. and Saturn Video, but their copies were often just as bad as those put out by Xenon and they didn’t have the most high-end films. 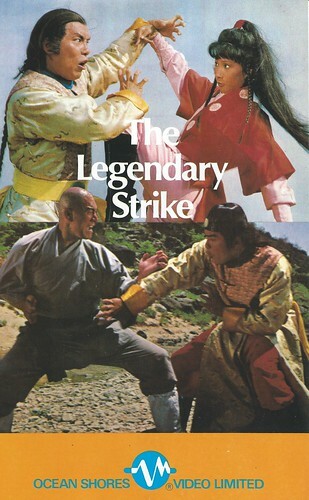 One other company, South Gate Entertainment, occasionally offered good-quality legit editions of kung fu classics. 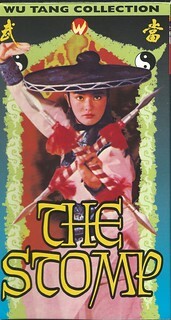 THE CHINATOWN KID, a Shaw Bros. production, was not only letter-boxed and SP (albeit English-dubbed), but it was a better and more complete version of the film than we got from Celestial Pictures when they started releasing Shaw Bros. films on re-mastered Region 3 DVDs in the early 2000s. I wrote about the differences in the two versions here on May 14, 2014. At the same time, I was also visiting the 43rd Chamber, on 43rd Street just off 8th Avenue. 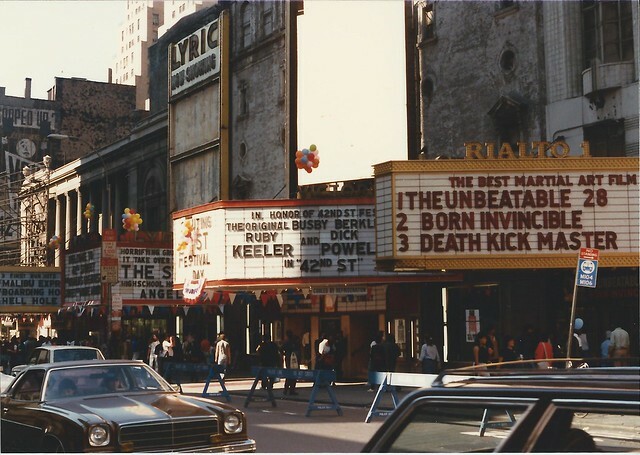 It had formerly been the 42nd Chamber when it was located in an old newsstand on the corner of 42nd Street and 8th Avenue just down the block from the old movie theaters that used to run these films incessantly in the 1970s and ’80s, but the store had been forced to move in 1995 by the redevelopment of 42nd Street. 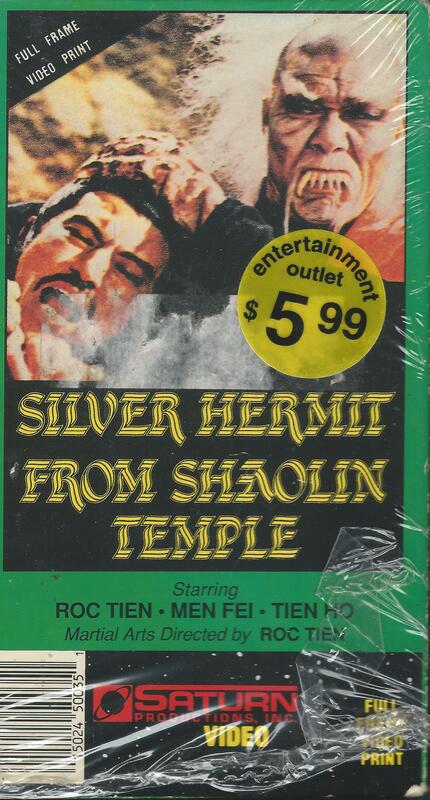 I had been getting VHS copies of current Hong Kong films at this store since 1994, but by 1998, I was seeking out old-school kung fu and purchasing tapes there for $10 a pop, often choosing titles recommended by the regulars who hung out there–Shah, the proprietor, and his partner Charles Woods, John “the Commissioner,” Greg Levine, Ian Rock, and several others whose names I didn’t learn or have forgotten (a crowd I truly miss in the era where all our discoveries are most likely being made on YouTube). Invariably, I’d make the purchase, take the tape home and find out that—guess what?—they were right! I did have to have those titles. 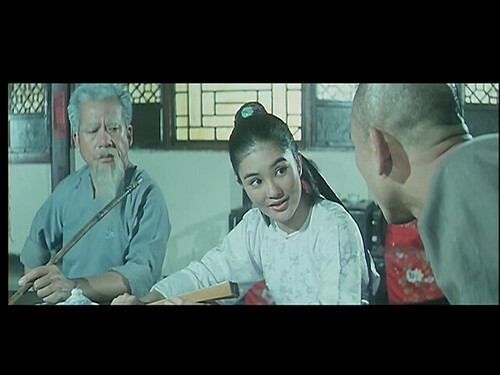 The tape quality really varied, but I did manage to discover a lot of worthy kung fu films this way. 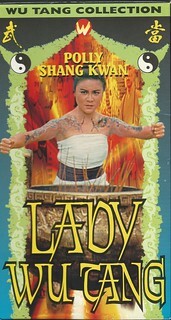 Occasionally, the DVDs were made by the usual bootleg distributors and generally didn’t look much better than the VHS. 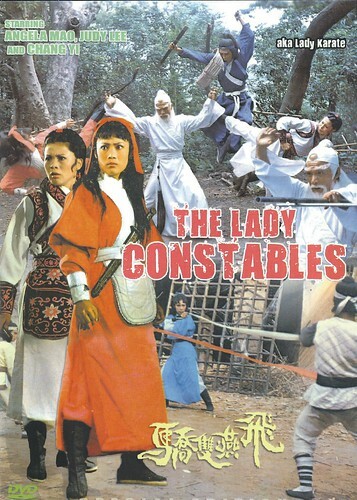 My VHS copy of LADY CONSTABLES was not only full-frame, cropped and badly dubbed, but it was EP, so when I found a DVD copy of it, I bought it in the hope it was some kind of upgrade. When I checked the DVD counter to see how long the film was, it said 112 min., which gave me hopes of seeing an “uncut” version. (A pretty ridiculous hope, I realize in retrospect, given how rarely these films went over 90 minutes.) As it turned out, it was only that long because whoever made the transfer had left the tape running into black long past the film’s 87-minute running time. 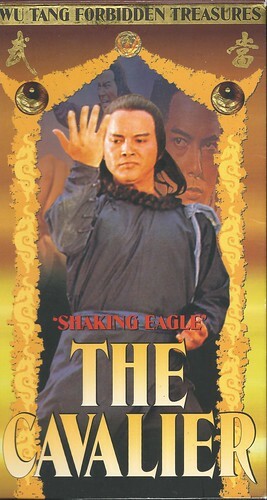 Worse, the DVD was made from an EP copy, so it looked just as bad as the VHS. 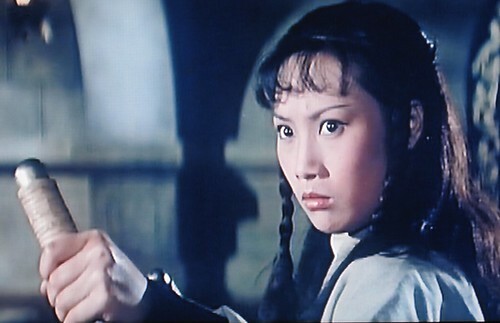 Sadly, this appears to be the only way to see the only starring team-up of the two reigning kung fu divas of the 1970s, Angela Mao and Chia Ling. 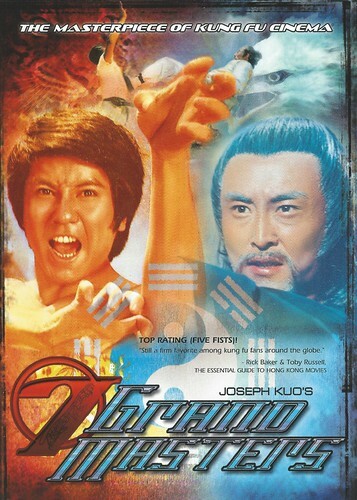 I watched both the English dub and the Hong Kong import DVD for this review. 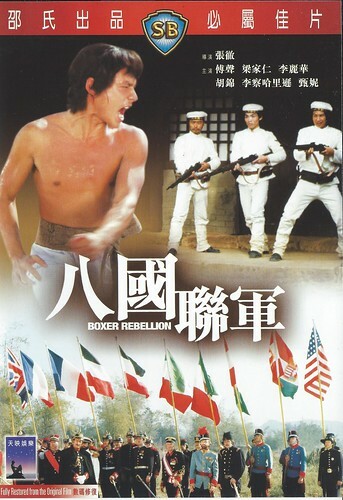 The HK version is completely reedited and includes footage from EIGHT MASTERS (aka 18 BRONZEMEN 3) and another, unrelated Kuo film, UNBEATEN 28. 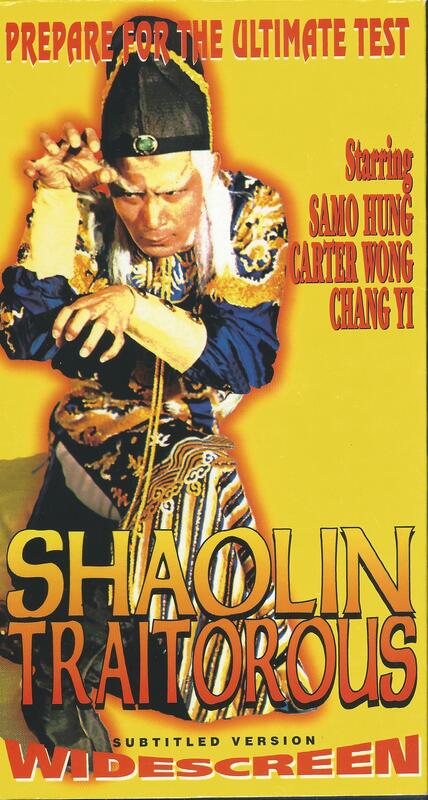 It also shortens scenes showcasing Polly Shang Kwan and Tien Peng and plays up Carter Wong’s role. 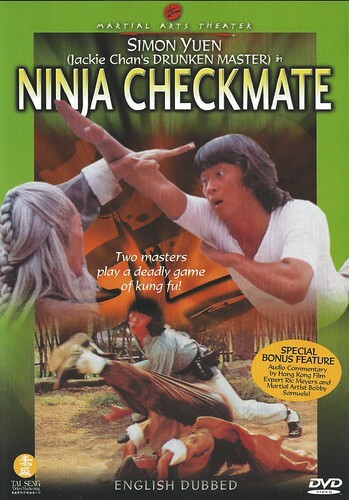 I actually found the English dub, despite being available only on full-frame VHS, the more effective version. So I lucked out with the VHS version, which, despited being recorded at EP speed, was actually a pretty good print and transfer, far better than average for this distributor. 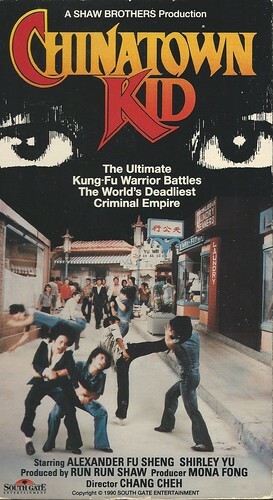 One gray market distributor, Crash Cinema, made a point of indicating on its tape/DVD cases which transfers were made from theatrical 35mm prints. 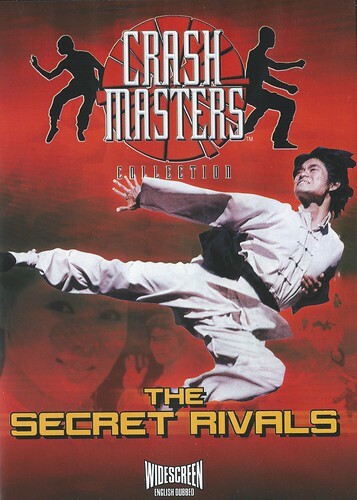 Sometimes their offerings were the best around, in terms of transfer and print quality, and their releases included some genuine classics, including SECRET RIVALS, SECRET RIVALS 2, and MAR’S VILLA. I was astounded to find that their 2-disc release of MAR’S VILLA included both the English-dubbed version and the original Mandarin-language version with subtitles, something that wasn’t even announced on the DVD case. 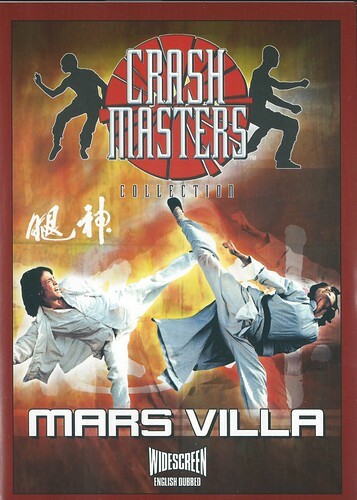 THE MARS VILLA (1978) is an old-school kung fu classic that offers a rousing showcase for both the acting and fighting talents of high kicker John Liu (SECRET RIVALS, INVINCIBLE ARMOR). 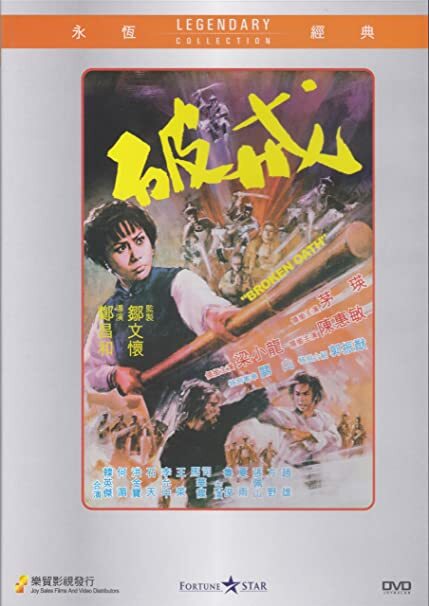 The value of this edition is that it’s a two-disc set with both an English-dubbed version and a Chinese-language version with English subtitles. 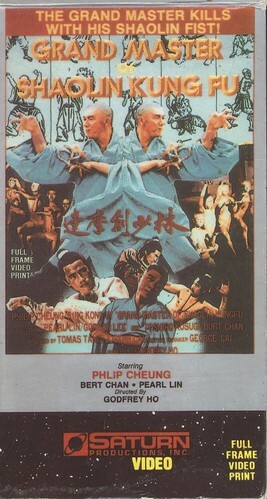 The Chinese-language print is the superior one, transferred in its proper widescreen dimensions and boasting a sharp transfer and bright colors. The English dub is also letterboxed but not at the proper aspect ratio. The image on the dub is slightly squeezed and slightly cropped at top and bottom. It’s a tad soft and the colors more muted. The subtitled version is the one to watch. Interestingly, there is no indication on Crash Cinema’s DVD case that a second disc with the Chinese version is included. What a pleasant surprise this purchase turned out to be. 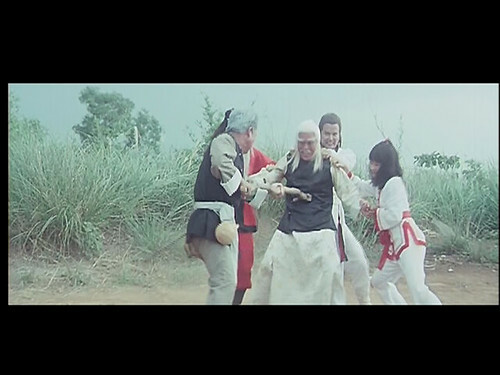 Here’s a section from my Amazon review of Crash Cinema’s DVD of CANTONEN IRON KUNG FU, which singles out the print source. 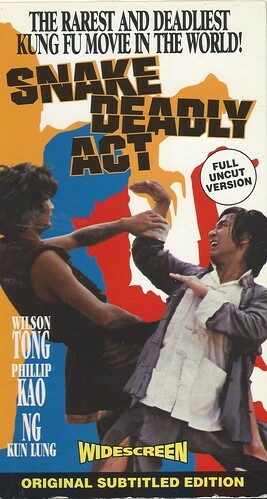 However, the original 35mm print from which this high-quality letter-boxed DVD transfer was made (courtesy of Crash Cinema’s Pagoda Films Premium Collection) was in such pristine condition that it gives viewers a rare chance to see an old-school kung fu film in something approximating the way it was meant to be seen. 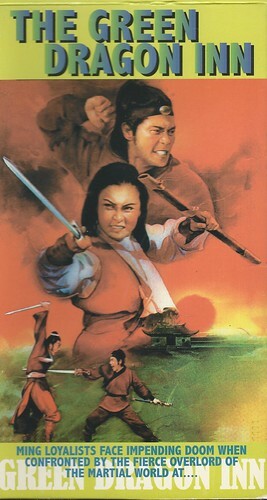 While the film itself is no classic, it is well-made and entertaining enough to justify watching simply because it is in so much better condition than 95% of the kung fu films so far available in the U.S. My only quibble with the DVD is that it wasn’t enhanced for 16:9 presentation. 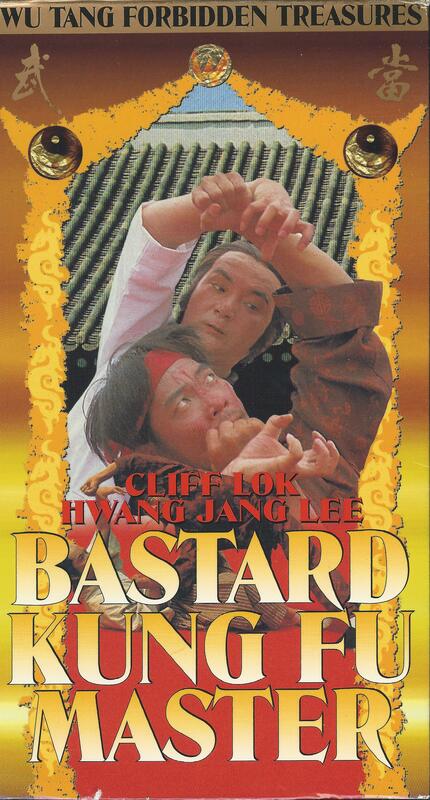 Eventually, starting in late 2002, the high-end martial arts films made by leading Hong Kong studio Shaw Bros. began coming out in Region 3 DVDs, restored, remastered, letter-boxed and in their original language with subtitles. 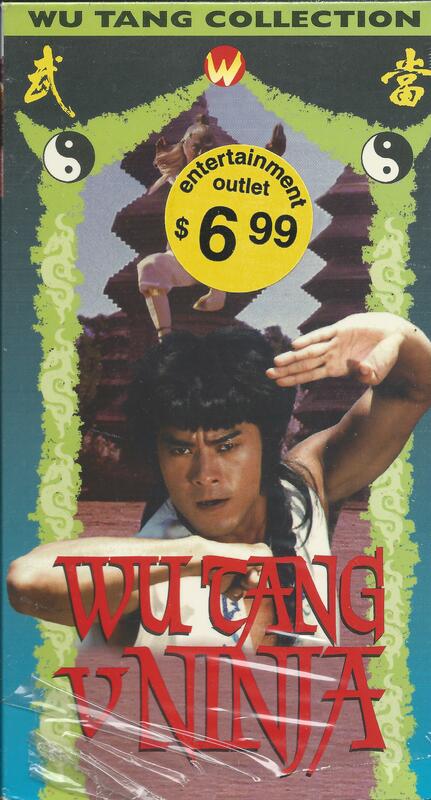 At this point, it seemed kind of foolish to keep buying bootleg VHS tapes. Besides, the 43rd Chamber had moved again (to 41st Street) and soon went out of business. And the steady stream of all those tapes from Xenon & company slowed down to a trickle and I figured I’d gotten everything good I was going to get from them. 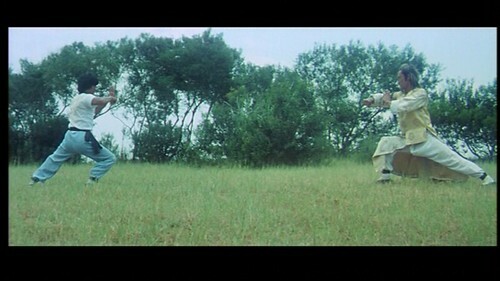 7 GRANDMASTERS (1978) is a legendary kung fu film that’s been a fan favorite for over 25 years. 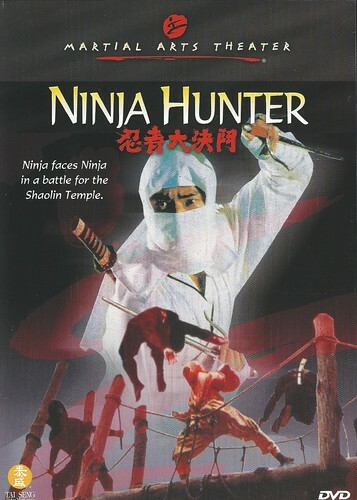 Good home video copies were impossible to come by until this legit DVD which offers the film letter-boxed, with 16:9 enhancement, enabling most of us, for the first time, to see the breathtaking kung fu action in all its widescreen glory. 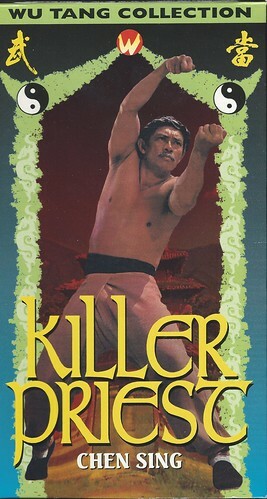 Licensed to Tokyo Shock/Media Blasters by Hong Kong’s Mei Ah, the transfer was made from a high-quality print that may be the best non-Shaw Bros. print of a kung fu film yet released in the U.S. 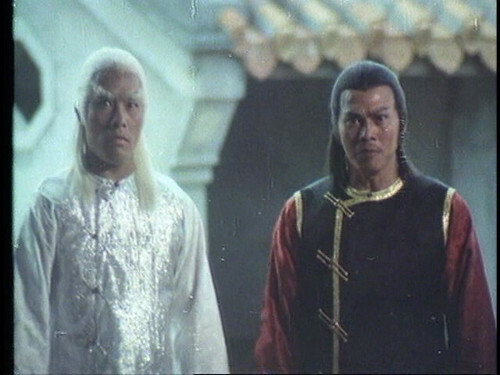 The dual language track includes both the familiar English dub and the original Mandarin track, with English subtitles. 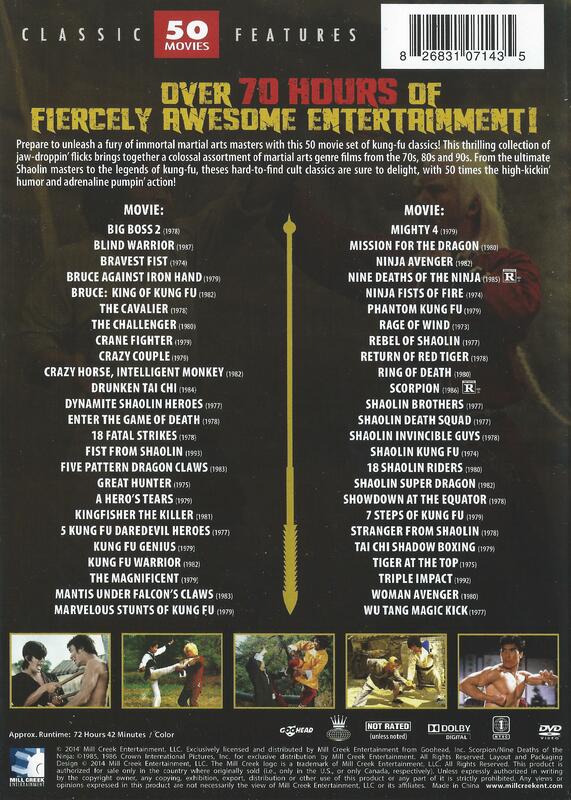 While the Shaw Bros. and Golden Harvest titles have largely been rescued from bootleg hell, the same cannot be said for the vast majority of kung fu films from that period and I doubt we’ll ever see legit copies of some of the films mentioned in this entry. But at least I’ve got some kind of copy of so many of them–all packed away in my bedroom closet. And pretty much every one of these films has wound up on YouTube, so they’re at least accessible. 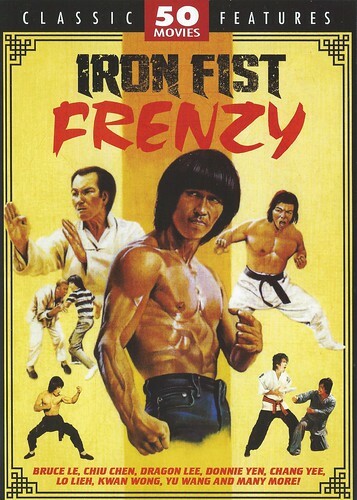 Finally, I now have to go through that Iron Fist Frenzy box set and see all of the (now) 41 films on it I’ve never seen. 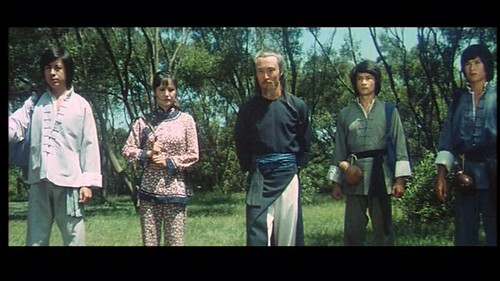 18 SHAOLIN RIDERS stars Wong Tao, Chia Ling, Lo Lieh and Chen Sing. How could I have missed that one back in the day? shaolin invincible guys on the iron frenzy 50 movie collection are the same quality as if they were bought on seperate releases?